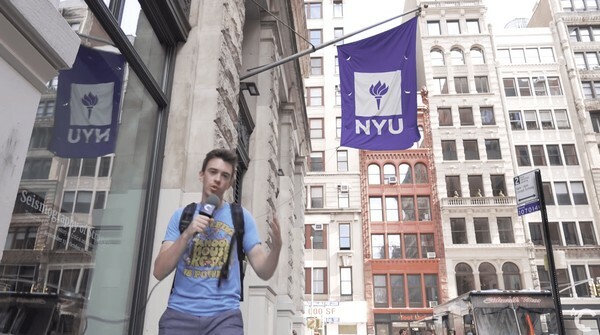 Crimson Education asked NYU students a couple of big questions about their university they gladly answered. The Typical Student team provides you with the most valuable replies. What's the Best Thing About NYU? Most NYU students think that the best thing about their school is the campus that is located in Manhattan. However, other students say that they appreciate the diversity of NYU, cool professors, the university organizations, being in the city, and even not having a campus. What's the Worst Thing About NYU? Some students say that they are concerned about safety in such a big city as New York. While other students say that the worst thing about their school is its expensiveness. They also add that living in New York City is pretty costly and they spend much more money than they thought they would. What's the Biggest Misconception About NYU? Students claim that most people think that students at NYU are extremely lonely and have no friends. Another misconception about NYU, according to students, is not having a community due to the fact that it doesn’t have a traditional campus. What Do NYU Students Do On the Weekends? While some NYU students work or study on the weekends, others prefer going to movies and theaters, eating out, going to bars, hanging out with friends, exploring the city, and going to parties. What Did NYU Students Write in Their Application Essays? Some NYU students say that they wrote about how they like to cook or how it was like to grow up in Mexico, but most of them wrote about their families and personal experiences.